Come and check out these unique new frames and sunglasses! Interested in choosing from the entire line of your favorite designer? Then, you’ll want to visit us during one of the 3-5 trunk shows we host every year. Join us for a special display, extended selections, and of course, beverages and refreshments, for a completely elegant personal shopping experience. Be sure to make sure you sign onto our mailing list today. We will let you know which designers we are featuring, and give you plenty of notice of the date and time to arrange your schedule. Thursday, May 2, 2019 from 3-7pm: MOSCOT Trunk Show—SHOWCASING THE NEW 2019 COLLECTION. Tuesday, May 21, 2019 from 3-7pm: DAVID SPENCER Trunk Show—COME SEE OUR NEWEST EYEWEAR LINE FEATURING INNOVATIVE DESIGNS AND BOLD SHAPES AND COLORS. Saturday, June 1, 2019 from 10am-4pm: SALT Trunk Show–WE ARE SO EXCITED TO NOW OFFER SALT’S PREMIUM EYEWEAR COLLECTION. Take a moment now to add your name to our email list. 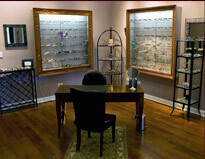 Get word of our trunk shows, new eyewear, and extended selection, reserved for subscribers only.